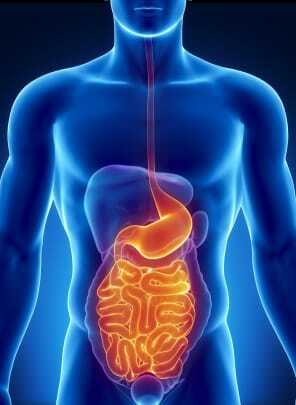 The colon or the large intestine carries out the last stages of digestion. So, the colon function in the digestive system is the key to elimination. It escorts waste from the human body through the large tube called the colon. The human body has two different types of intestines. The stomach is connected to the first type, the small intestine. The small intestine is responsible for the middle part of the digestion process prior to it entering the colon or large intestine. It takes six hours for the water to be reabsorbed and this is one of the main functions of the colon. Six hours from the time that the chyme enters the colon from the small intestines. What this that means is six to seven hours after eating you should expel everything that you ate from your last meal. However, we don’t do that. We retain feces that putrefies and ferments, then it gets absorbed through the portal circulation into the liver and we have hepatotoxicity and autotoxicity. What’s critical to understand is before you can heal, you must remove the poisons and all the toxins. Everything you put into your mouth goes into your liver. And, whatever stays in your colon gets recycled to your liver. Hepatic circulations happen every four minutes. Every four minutes, you’re recirculating this stuff to your liver. The liver is very, very busy if you don’t have a clean colon. And if you’re having one bowel movement a day and your colon is as big as it is, what’s that doing? Not much. This is interesting. Dr. Alexis Carrel took chicken hearts, put them in a nutritious solution and drained it every day. There was never any waste accumulation. He wanted to see how long the chicken hearts would last. He started his study in 1912 and twenty-eight years later he abandoned the experiment because the chicken hearts were still alive. What this tells us is if we don’t accumulate toxins, who knows how long we could live. The biblical stories of people living up to 912 years of age before the great flood, on the average, are probably true. If you don’t change the water in your aquarium, then toxins start to accumulate. If you had a garden and the plants were dying, the gardener would first examine and work with the soil. Our body is the garden, we are the gardeners. And we will have a harvest, as you know, so be prepared. Don’t be surprised. People shouldn’t expect to treat their bodies like a wasteland and live without health issues, it just doesn’t work that way. Colon Hydrotherapy is part of our adjunct therapies and helps eliminate the accumulation of toxins from the body. This is just one piece of our comprehensive cancer care program. Reach out to us to find out how we can help you or a loved one.